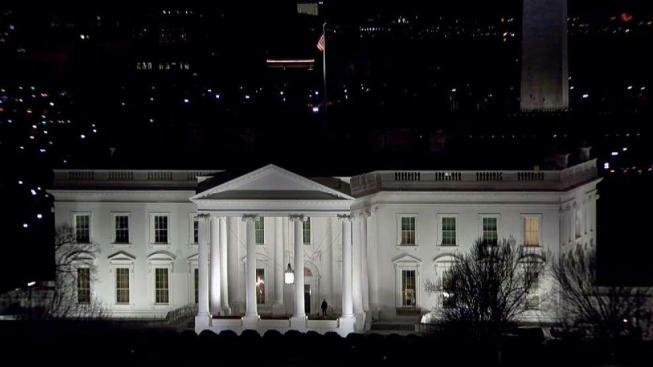 A man accused of moving a White House security barrier told authorities he wanted to take two bottles of Crown Royal to President Donald Trump, according to court documents. The man, identified by his Canadian passport as Yianny Georgopoulos, gained access to a restricted area near Pennsylvania Avenue and East Executive Avenue shortly after midnight Wednesday by moving a bicycle rack marked “No trespassing authorized personnel only” and “Restricted area do not enter,” according to court documents. Georgopoulos told a U.S. Secret Service officer he was there to see the president and deliver the Canadian whisky to him, according to court documents. He exited the restricted area after several commands from the officer. He was arrested and charged with unlawful entry and processed by D.C. police. During an interview after his arrest, Georgopoulos said he wanted the president’s help finding a wife, according to court documents. He acknowledged seeing the signs on the bike rack and ignoring them. He also admitted to a recent arrest for threatening family members and to stalking a cousin, according to court documents. Georgopoulos' attorney has not returned a request for comment.